Heins Contracting is a family owned and operated roofing company specializing in roofing, siding, and windows. We have over 20 years of experience and a history of delivering outstanding services to our customers. Whether your home needs new windows, siding repairs, or you are looking for the best local roofers in Madison, WI, you have come to the right place. We stand behind the quality of our workmanship and always aim to exceed your expectations. At Heins Contracting, we take your business seriously and offer professional commercial roofing services. You can have peace of mind knowing that your commercial roofing system is in the best hands. Our roofing contractors are expertly trained and bring their specialized knowledge and skill to every roofing project. When you choose Heins Contracting, you are getting exceptional quality workmanship backed by decades of experience. Our team works diligently to help you maintain your property’s exterior in its best condition year round. Our goal is to deliver an exceptional caliber of roofing and siding services as well as window installation services to our customers in Madison, WI. 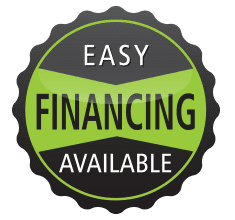 Give us a call to receive an estimate by calling (608) 729-8879 today.